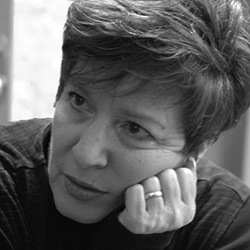 JEAN TROUNSTINE is an author/editor of five published books, professor at Middlesex Community College and a prison activist. She worked at Framingham Women’s Prison for ten years where she directed eight plays and published Shakespeare Behind Bars: The Power of Drama in a Women’s Prison about that work. Her piece, “Meeting Karter,” won an Honorable Mention for non-fiction in Solstice’s 2010 Summer issue. For Boston Magazine, she recently wrote “For the Massachusetts Parole Board, It’s Time for a Change,” November, 2012, and blogs weekly at “Boston Daily.” She takes apart the criminal justice system brick by brick on Justice With Jean at www.jeantrounstine.com.